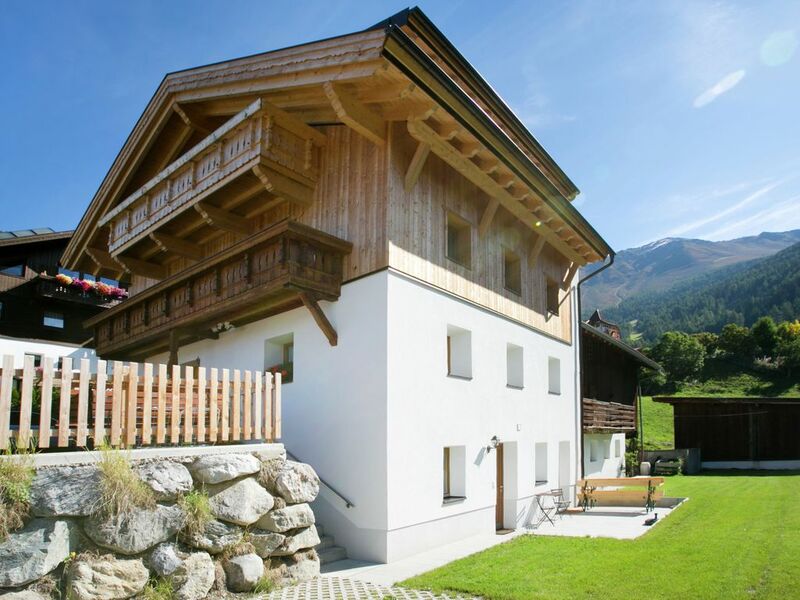 Cozy house not far from the ski area Fiss, Serfaus, Ladis. The little mountain village of Fendels is situated at an altitude of 1350 metres and is located 5 km from Prutz in the beautiful Kaunertal. The brand new (2012) and tastefully furnished apartments boast a spacious layout and are situated on the top floor (8 people) and ground floor (4 people) of the house. As a guest, you receive the Tiroler Oberland Summer Card for free, which gives you free admission to various summer attractions. The ski area offers fun in the snow all the way into spring, while in summer you will find beautiful hiking trails and other options for nice excursions. The house is close to the lift and it only takes two minutes to walk to the comfortable chair lift, which will take you high into the mountains. When there is enough snow you can ski all the way to the house. Nice, clean, new, modern and very complete apartment. We stayed with four adults and a baby and the room was perfect. Definitely a must. Fendels has a small family and (very) family friendly ski area. About a 20 minute drive there is a glacier and a half hour drive to Serfaus Fiss or. Definitely worth for a quiet holiday. We had a wonderful holiday in Kometer apartment (top floor). The living area and the bedrooms are spacious enough for 8 people. The kitchen is well equipped. The biggest advantage for winter sports is the short walk to the ski slopes and lifts. Village is limited in shops, restaurants and cafe 's. Bellissima casa con visuale splendida. Gentilissimi anche i proprietari. Gran pulizia e bel posto vicino a doppia cabinovia per muoversi velocemente. Inoltre, sempre dai dintorni della casa partono sentieri per passeggiare e trekking. Die Wohnung war gut und modern ausgestattet und sauber. Die Umgebung bietet einige Möglichkeiten zum Wandern. Die Vermieter haben wir nur am Anreisetag zur Schlüsselübergabe gesehen. Keinerlei Informationen über die Umgebung und die Freizeitangebote. Kann lauter werden, wenn im Hotel in der Nähe Party gemacht wird.